In California, more than 565,000 Spanish-speaking adults cannot read or write in any language, according to the 2010–2012 American Community Survey. This affects their ability to learn English, to support their children’s education, and to advance in the workplace. It often leaves them feeling vulnerable and isolated. In 2015, the James Irvine Foundation funded an online Spanish literacy course, Leamos (Let’s Read), through the Los Angeles nonprofit Centro Latino for Literacy. 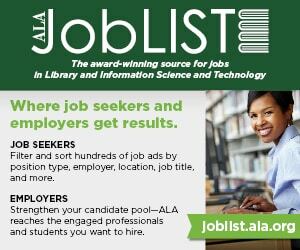 The California State Library then awarded a Library Services and Technology Act (LSTA) grant to the Southern California Library Cooperative to expand the program across the state. Leamos’s developer had agreed to waive the licensing fee for selected public libraries to host the course, noting that libraries are community anchors—modern-day zócalos (the public squares familiar to immigrants from Latin America). Having had three years of experience with Leamos as adult education and literacy coordinator at the Azusa City (Calif.) Library, Cathay Reta was excited to become project coordinator of the Leamos @ the Library initiative. The 2015–2017 pilot project explored Leamos’s fit with 18 public libraries. At age 7, Efren Sanchez got separated from his mother in the crowd at a Mexico City festival and wound up living on the streets. He never went to school or learned to read. In his early 30s he moved to the US. Now, at age 52, Sanchez has learned to read and write in Spanish. He was one of the first adults to enroll in the Leamos course at the Louis Robidoux branch of the Riverside County (Calif.) Library System. 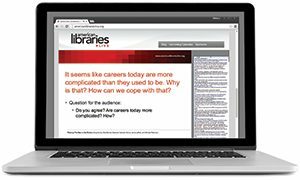 Leamos is a licensed online course geared to adult learners. Typically, learners need assistance logging into the course but, with practice using the mouse, they soon become adept using it alone. A virtual instructor takes them through 46 lessons to learn how to read and write basic Spanish. 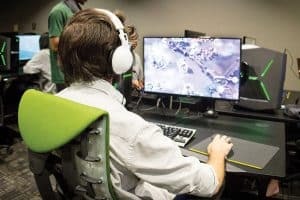 Some libraries set class times in their computer labs, some provide volunteer tutors to work with learners, and others involve library staff to provide needed support. Learners can also study at home or anywhere that has internet access after becoming comfortable with the course. Once mastered, the course provides a solid foundation for successfully participating in English as a second language (ESL) classes, a goal for many of the program’s learners. Without a foundation in Spanish literacy, most nonliterate Spanish speakers find ESL classes too difficult, and they drop out—that was Sanchez’s experience. Now, however, he is not only learning English, but he has also passed the written test to get his driver’s license, which he proudly displayed when he spoke about the program at the 2017 California Library Association conference. 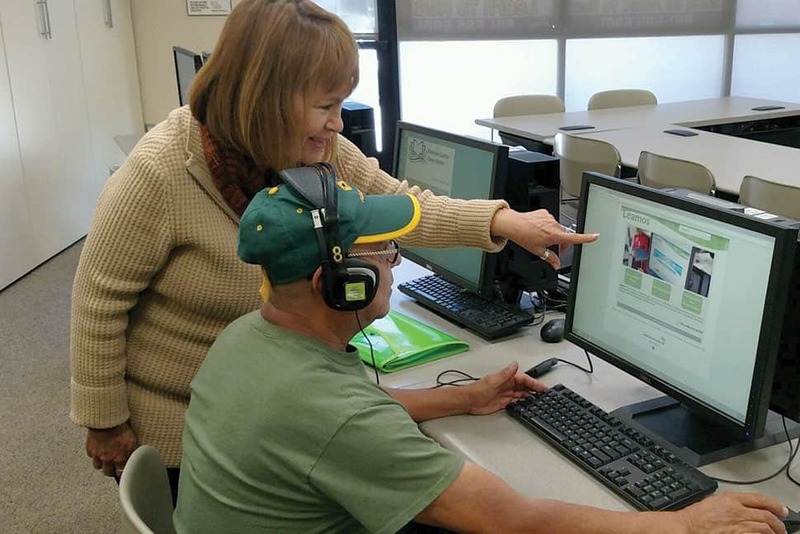 Leamos @ the Library was developed with two goals: to teach basic literacy skills to Spanish speakers, and to explore its effectiveness as a tool to reach nonlibrary users. The results? We reached 117 adult learners, more than half of whom (66 individuals) got their first library card when they enrolled in the program. Many became regular patrons and began to use other library services, as we had hoped. For example, since Santa Monica Public Library patron Maria C. (last name withheld) learned to read, she can hardly put a book down. When her brother-in-law asked, “What happened to your house? It’s not as clean as it used to be,” she replied, “Oh, now I’m reading!” In the summer of 2017, she read 20 books and received a Summer Reading Program certificate of completion. While success stories like these have been repeated across the state, they have not come easily, and they have not happened in every community. We learned that it takes time to build a level of trust that makes it safe for the target population to respond. Not all of the libraries were successful at recruiting learners. Even if staffers saw a need in the community, they couldn’t always connect to patrons by the end of the project. For some it was because of staffing constraints and a lack of time to devote to the project. One library lost its two Spanish-speaking staff members just as the project launched. Other libraries never found quite the right mix to make it work. Still, most of the libraries that participated agree it is worth the effort. LSTA funding brought the participating library coordinators together for half-day workshops twice throughout the initiative. The coordinators identified key issues and shared their experiences. Their input served as the foundation for the Leamos @ the Library Toolkit, which contains outreach suggestions, tips, sample materials, and templates to help other libraries to implement the program. It can be downloaded for free. Leamos is now owned by ProLiteracy, which continues to support its use in libraries. CATHAY RETA retired from Azusa City Library in 2017 and works as a literacy consultant in California. She serves on the Leamos advisory board.